Mazda has re-branded its approved used scheme and expands the methods that buyers can search its car stock. From now onwards, Mazda's approved used scheme will be known as simply as Mazda Approved Used Cars. It follows significant investment by Mazda in web-based technology that enables used vehicle availability to be accessed by would-be buyers via mobile phones as well as online. It was previously known as ZZ+. 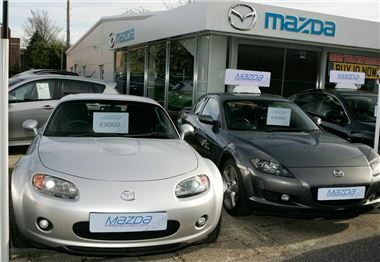 Michael Stewart, fleet and used car marketing manager for Mazda UK said: "These days, 25 percent of all web browsing originates via a mobile device and this trend is growing. It is therefore extremely important that Mazda invests in cutting-edge web-enabled capability. "For many people, mobile phones provide access to websites, so it is equally important that our stock of Mazda used cars is accessible from such hand-held devices and consumers can liaise directly with our dealers." Mazda franchise dealers are able to buy cars online via cyber auctions, while potential customers can search the online ‘showroom' (www.mazda.co.uk/usedmazdas) for their chosen vehicle and access a finance calculator to identify the most suitable purchasing method and its cost via Mazda Financial Services. "The whole system is totally interactive giving customers access to all used vehicles in the Mazda network and photographs of those cars. Would-be buyers who cannot find the exact specification of vehicle they are looking for can contact their local dealer directly online," commented Stewart. "In the future, dealers will be able to text potential customers to notify them of the availability of a vehicle that may be of interest. "We want our dealers to become a complete one-stop shop for all used vehicles. With our new online capability it has never been easier for potential customers to access available models and then interact with dealers and our finance house," added Stewart. "Mazda is renowned for vehicle reliability which is one of the key criteria looked for by consumers when making used car buying decisions. By investing in online technology we are making sure that all used stock is more easily accessed by consumers and thereby strengthening the value of models and generating more sales opportunities for our dealers," concluded Stewart.